From Chitra Divakaruni, author of such finely wrought, bestselling novels as Sister of My Heart, The Palace of Illusions, and The Mistress of Spices, comes her most compelling and transporting story to date. 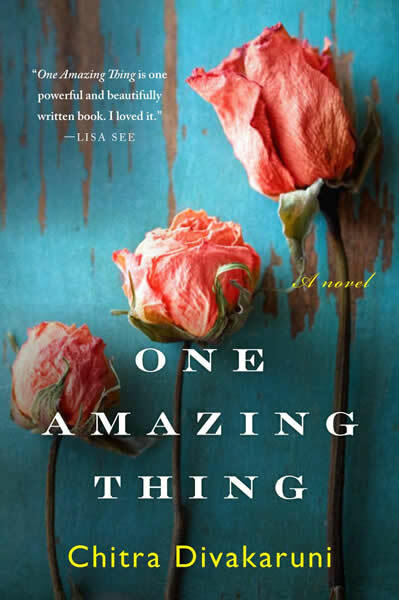 One Amazing Thing is a passionate creation about survival--and about the reasons to survive. "A wise and beautifully refined drama. . . . The [characters] tales of heartbreak and revelation are nuanced and riveting as Divakaruni takes fresh measure of the transcendent power of stories and the pilgrimage tradition. True, the nine [characters] are captives of a disaster, but they are also pilgrims of the spirit, seeking one amazing thing affirming that life, for all its pain, is miraculous. A storyteller of exquisite lyricism and compassion, Divakaruni weaves a suspenseful, astute, and unforgettable survivors tale."